Better wash down all those tasty human treats! Grab a drink in your Pusheen the Cat 16 oz. Tumbler. 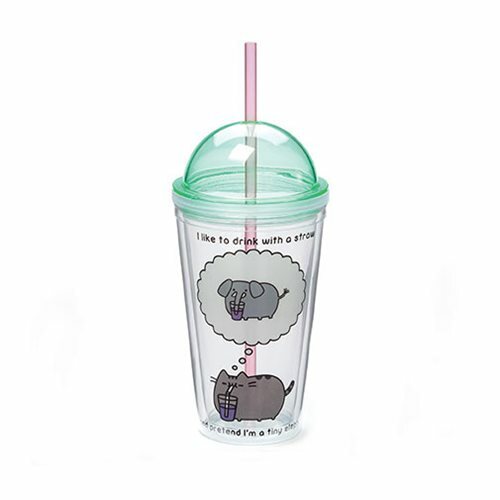 Features Pusheen and the phrase "I like to drink with a straw and pretend I'm a tiny elephant." Measures about 9 3/8-inches tall x 3 3/4-inches wide x 3 3/4-inches wide. Ages 8 and up. Hand wash only. Not dishwasher safe. Do not microwave.